Survey 2 for the nation’s capital saw Mix 106.3 hold on to a slender lead at the top of the ratings, while triple j felt its traditional dip after a strong start to the year. After a strong first book, Mix experienced a downward turn to 15.8% (-2.3) for People 10+, but managed to pip closest rivals Hit104.7 who rose to 15.4% (+0.3). Meantime triple j fell to 8.3% this survey (-1.2) after a good first survey. Mix 106.3’s Kristen and Wilko Breakfast show remains #1 on the FM band despite diving a significant -3.0 points to 14.9%, ahead of Ned and Josh on 11.5% (-2.4). 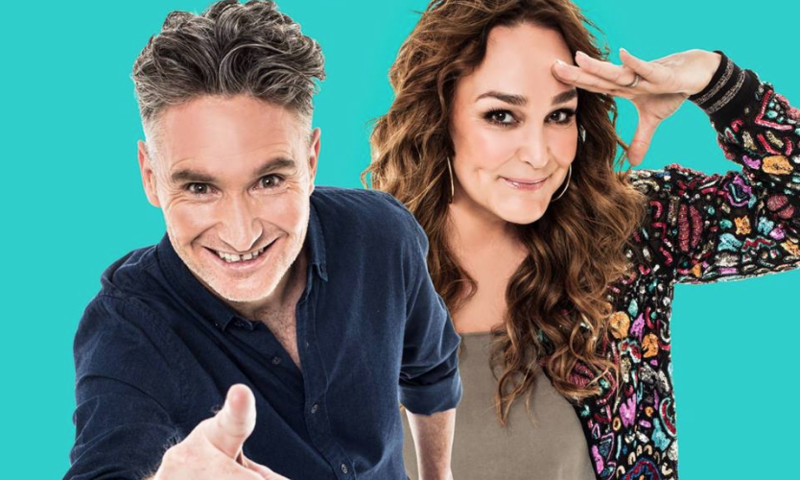 ‘Drive with Courts’ on Mix lost out to Hit’s new Drive show for 2018 Hughesy and Kate, who had a positive swing to 18.9% (+0.6). 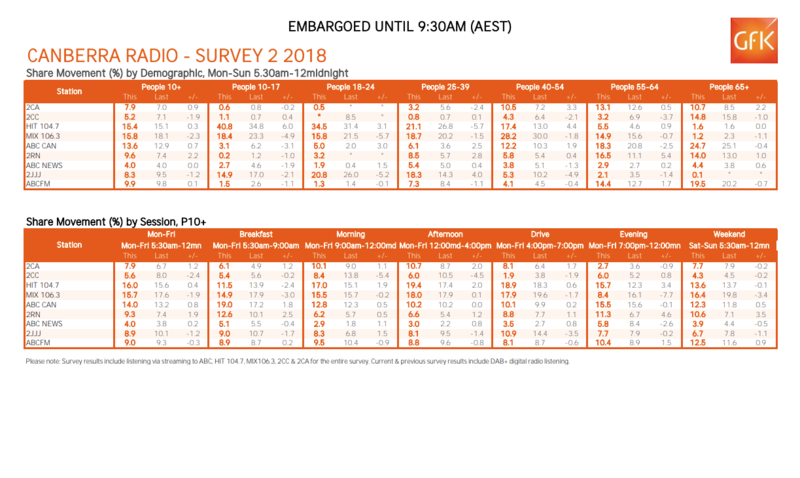 ABC Canberra Breakfast remained #1 on the AM band, rising to 19% share (+2.5). 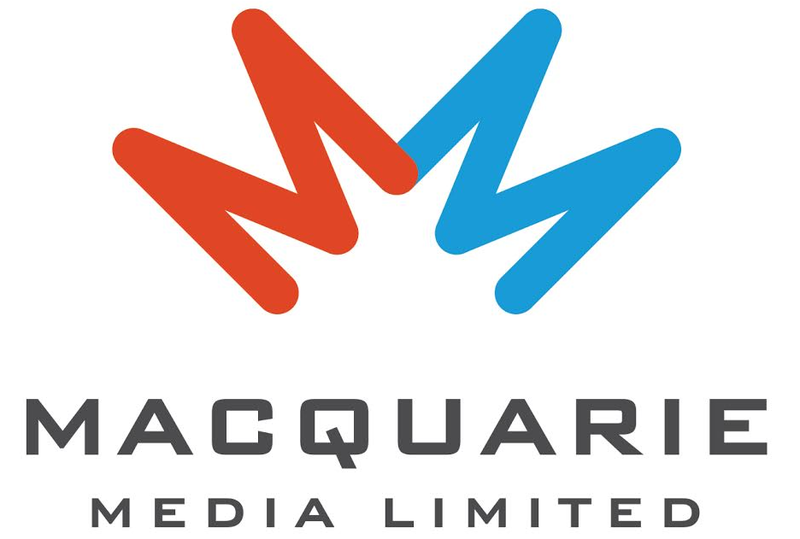 “As always, the survey results present us with a range of measures between share of listening and numbers of listeners and again for this survey, we’re thrilled with the outcomes from various standpoints for both our brands,” said Canberra FM Radio GM Craig Wagstaff. “Our underlying focus remains to entertain and inform and with some exciting, innovative elements recently introduced, we feel that engagement levels from our audience and the types of campaigns with our commercial partners have been extremely successful. “We remain genuinely appreciative and respectful that people in Canberra and the region choose our stations and that clients trust us to partner with their organisations”. Canberra’s second of three survey periods for the year covered April 29 through to June 23.